Officials for Port Everglades said they believe that today, Sunday, March 13, 2016, marks the second time this cruise season that the port broke its own world record with a preliminary count of more than 54,700 cruise guests sailing in and out in a single day. 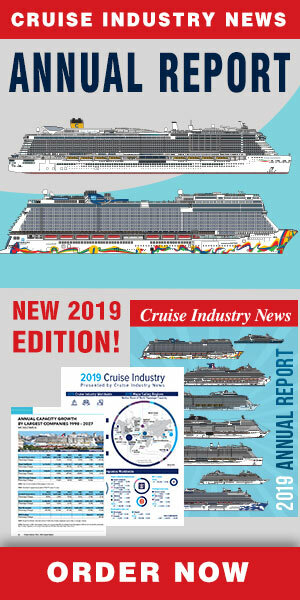 The last record was set just three months earlier on December 20, 2015, when 53,485 passengers sailed in and out of the South Florida cruise port in a single day. In addition, these record days did not include passengers aboard Balearia's Bahamas Express ferry, which departed for a day trip to the Bahamas with almost 400 passengers. The Port hosted eight cruise ships today including the Carnival Conquest, the Celebrity Silhouette, the Eurodam and Nieuw Amsterdam, the Regal Princess and Royal Princess, and the Allure of the Seas and Navigator of the Seas. These are the same cruise ships that called at Port Everglades for the December 20, 2015 record, but because of varying spring break vacations in March the ships came in and left full of families.